Though cocaine’s anesthetic and vasoconstriction properties has been combined in the past for the treatment of a patient by a physician, it has been found to have no viable medical uses. Not only does it not have any legitimate use for medical purposes but the narcotic drug remains very dangerous. Even a casual recreational use of cocaine has a string of negative effects that come along with it. The drug can be snorted, injected and smoked but is most often snorted. The high depends on the continuous release of dopamine. It doesn’t allow the dopamine to recycle and therefore floods the brain to cause the euphoric state. The high is usually described as a boost in confidence, euphoria and a surge of energy. It particularly affects the adrenal function and mimics adrenaline when it rushes through the system. Long term use of cocaine, even a long term recreational habit, causes adrenal atrophy. It can result in a dulled lack of smell and routine nosebleeds. A chronically runny nose is another warning sign. On top of this messy picture, cocaine decreases appetite and leaves the person using generally malnourished. The drug seems to constrict blood vessels and increases body temperature, heart rate as well as blood pressure. Binges have lead people to irritability, nausea, aggressive and violent behavior, restlessness, anxiety and severe paranoia. This is quite the burden of a crash for the sake of partying. Depression also comes along with the low and in some cases could get pretty serious. 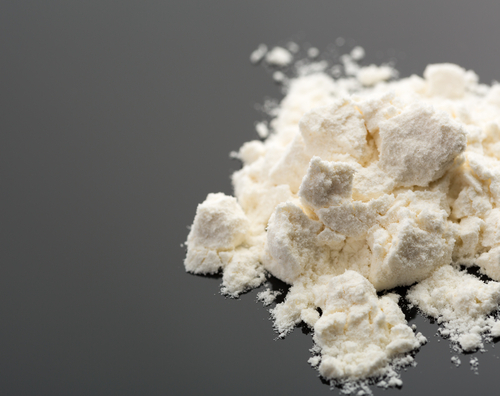 Cocaine has the potential to cause a heart attack or stroke which may cause sudden death. It also disrupts normal brain function in general. Additionally, cocaine is a very habit-forming, addictive type of drug. The glorified party drug actually has the potential to transition a mere recreational habit user into a full-blown addict. This is a situation of quite common occurrence. A majority of the people who try using cocaine on a strictly casual level end up with an addiction that, to them, seems to have creeped in out of nowhere. Addiction to coke is continuously a looming threat amongst the typical party scenes that use it. The tolerance seems to develop pretty quickly and, gaining fast momentum, will leave somebody addicted with an expensive problem to bear. Overcoming with a cocaine addiction remains a constant struggle for many users, as its popularity is quite up there along with other street drugs like ecstasy and meth. The dangers are pretty obvious, but seems to get buried by and lost with the running glamorization of it in pop culture today. In conclusion, it seems like these facts should be more widely known. Cocaine continues to be loosely passed around like it’s nothing, yet there is so much evidence of the dangers involved in even taking it a few times. Additionally, and as mentioned above, it could lead to death in some cases. Its popularity only seems to add to the problem. The necessity to spread the truth on cocaine remains an urgent one.